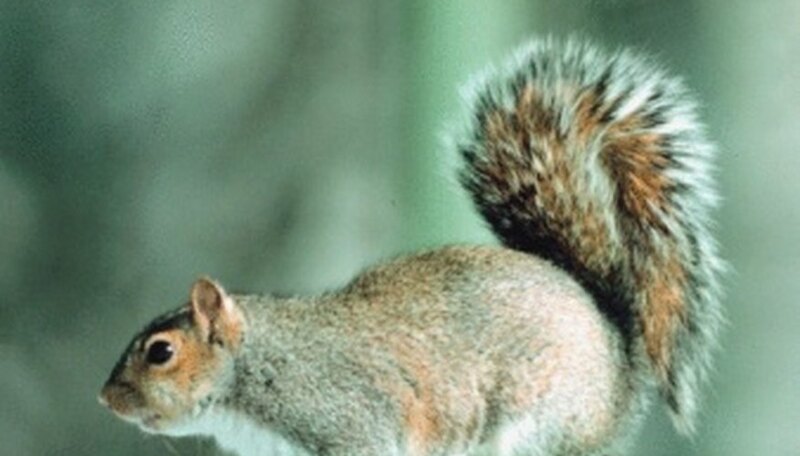 Squirrels are a familiar rodent, seen in many parks, backyards and forests. There are more than 200 squirrel species all over the world, with the exception of Australia. Tree squirrels are the types most commonly recognized, but there are also ground and flying squirrels. Wisconsin is home to ten members of the squirrel family and include five types of tree squirrels: the gray squirrel, fox squirrel, red squirrel and two species of flying squirrels. One of the most common tree squirrels in Wisconsin and the easiest to observe is the gray squirrel. It lives in parks and woods among coniferous and deciduous trees. 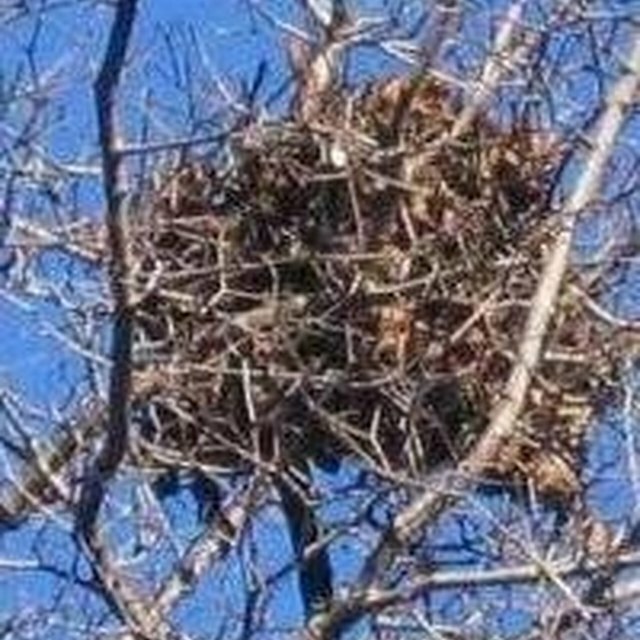 The gray squirrel builds its den in tree branches, inside hollow trunks or in empty birds' nests. It has a diverse diet which consists of nuts and seeds, fruit, fungus, sap, insects and eggs. It does not hibernate and is most active at dawn and dusk when it searches for food. In North America, its numbers are regulated by shooting it for sport and in England, numbers are controlled by poisoning the animals. The fox squirrel is the largest species of tree squirrel native to North America and is the largest in Wisconsin. It is commonly mistaken for a gray squirrel. Fox squirrels are the larger of the two and have rusty brown fur with a pale yellow to orange belly. Its diet is made up of nuts, seeds and buds and although they are a tree squirrel, they spend a lot of their time on the ground. The fox squirrel is a diurnal animal, most active between the hours of 8 a.m. to 5 p.m. They have a large vocabulary consisting of clucking and chucking sounds and can jump more than 15 feet horizontally. The red squirrel is small, only 11 to 14 inches long including a 4- to 6-inch tail. It is reddish to reddish-gray on top with a white or cream underside. It has white around its eyes and its tail is not as long or bushy as the tail of other tree squirrels. 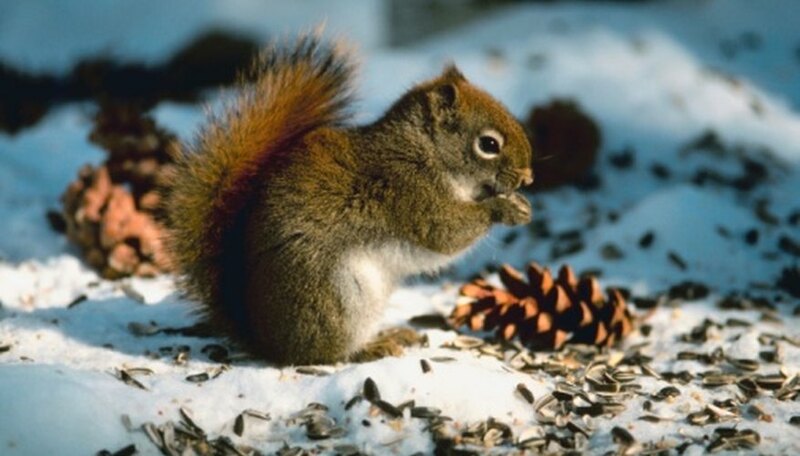 Red squirrels live in coniferous and mixed forests throughout northern Wisconsin. They feed primarily on pine seeds, but will also drink the sap from maple trees when nuts are scarce. They are considered a solitary animal, with only mothers and babies grouping together for the first 10 weeks of life. The Northern and Southern flying squirrels are two other tree squirrels found in Wisconsin. The Northern is slightly larger than the other, but both are small and light brown, with gray necks and stomachs. Flying squirrels don't actually fly; they glide from point to point with the help of a flap of skin that extends from their wrist to their ankle. They can glide for up to 150 feet. The flying squirrels eat nuts, seeds and berries and they are nocturnal, spending days hiding in nests high in trees. Tiffany Preusker graduated from the University of Miami in Florida, earning a B.S. in broadcast journalism and creative writing. She is also a certified personal trainer and holds certification in PNF stretching. Preusker, Tiffany. "Squirrels of Wisconsin." Sciencing, https://sciencing.com/squirrels-wisconsin-8647201.html. 25 April 2017.